Very few bridges in Barcelona, but many many many bridges in Venice. Here is probably the most famous one, ‘il Ponte degli Sospiri’, the Bridge of Sighs. 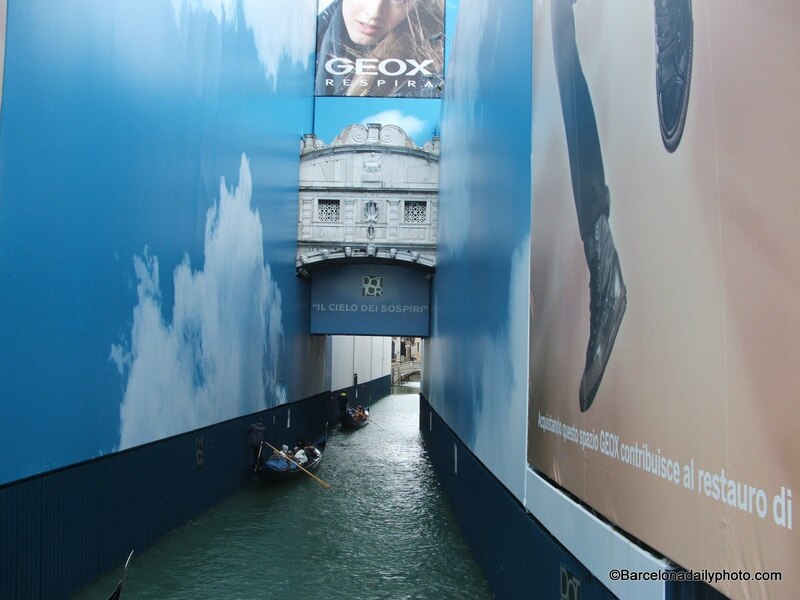 The Doge’s Palace, on both sides of the Canale was being refurbished, and they usually cover work over there with publicity of whichever company is sponsoring the said refurbishment. 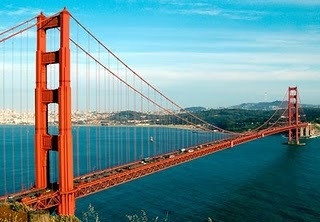 This is for Louis la Vache’s Sunday Bridges. Please click here to see more. And happy first Sunday of Advent to all. Christmas is getting close! This is Venice, Italy, last winter. High tide on Piazza di San Marco. This lady seemed to enjoy it! The other one not so much. Ésta es Venecia, Italia, el invierno pasado. Alta marea en la Piazza di San Marco. ¡Esta señora parecía gozar de él! La otra no tanto. Maree haute sur la place Saint Marc a Venise, l’hiver dernier. Une des dames a l’air de bien s’amuser, l’autre pas trop. Eh oui, ca mouille et c’est froid, Madame. Marea alta sulla Piazza di San Marco, Venezia. Una delle signore sembra contentissima, l’altra no. 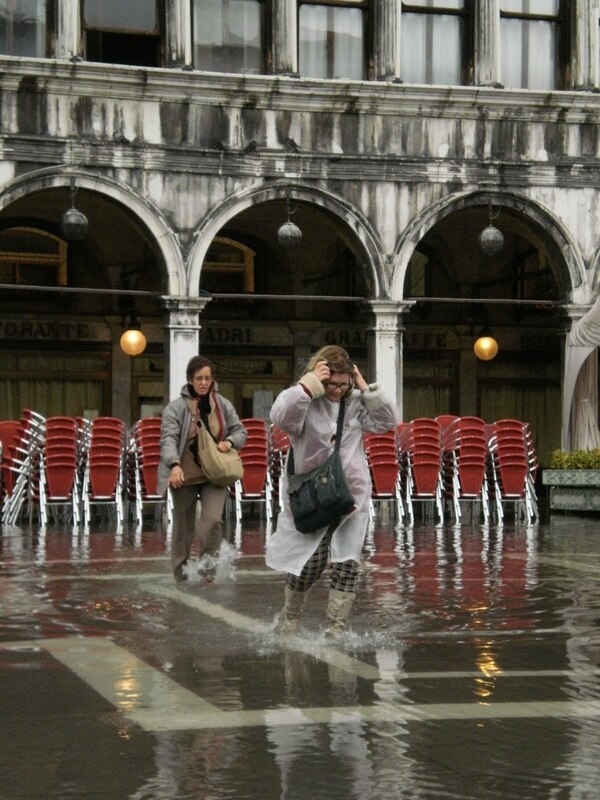 Hochwasser auf der Piazza di San Marco in Venedig. Die erste Dame findet das alles sehr lustig, die andere scheint nasse Fuesse zu haben. Esta é Veneza, Italy, no inverno passado. Maré elevada em Praça di San Marco. Esta senhora pareceu apreciá-la! Outra não tanto. Αυτό είναι Βενετία, Ιταλία, τον περασμένο χειμώνα. Υψηλή παλίρροια στο τετράγωνο σημαδιών Αγίου. Αυτή η κυρία φάνηκε να τον απολαμβάνει! Άλλο το ένα όχι τόσο μεγάλο μέρος. 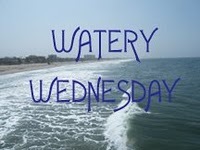 Watery Wednesday 105. Please click here to see more watery pictures. No, Venezia is not in Spain! We went there, Venice, in November, for an extended weekend. 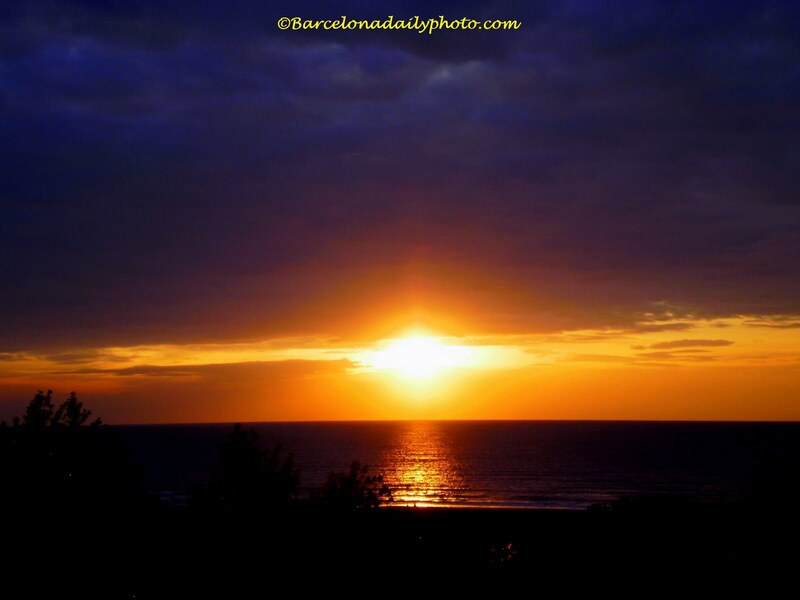 This post is part of Skywatch Friday, as almost every friday. Please click here to see and know and discover and admire more! Small horses, lamps, glasses, necklaces, boxes, vases, etc. 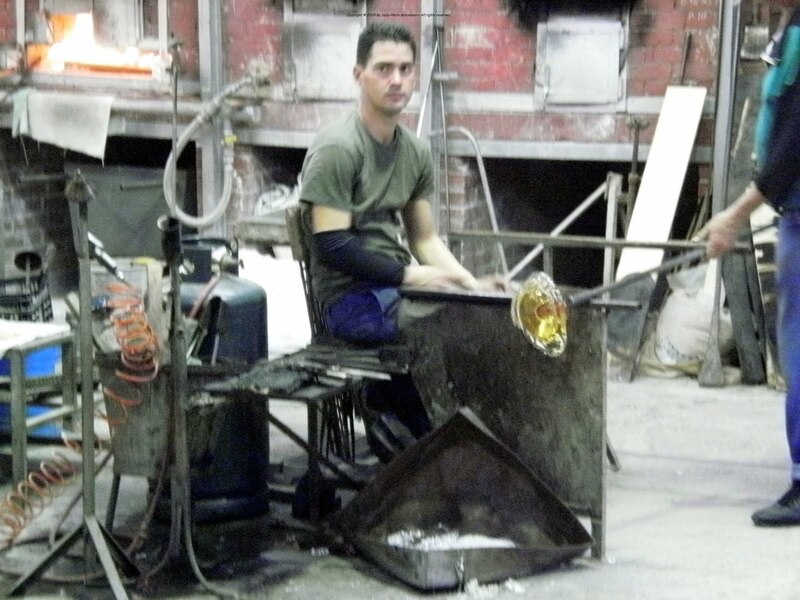 You can make pretty much anything out of glass. 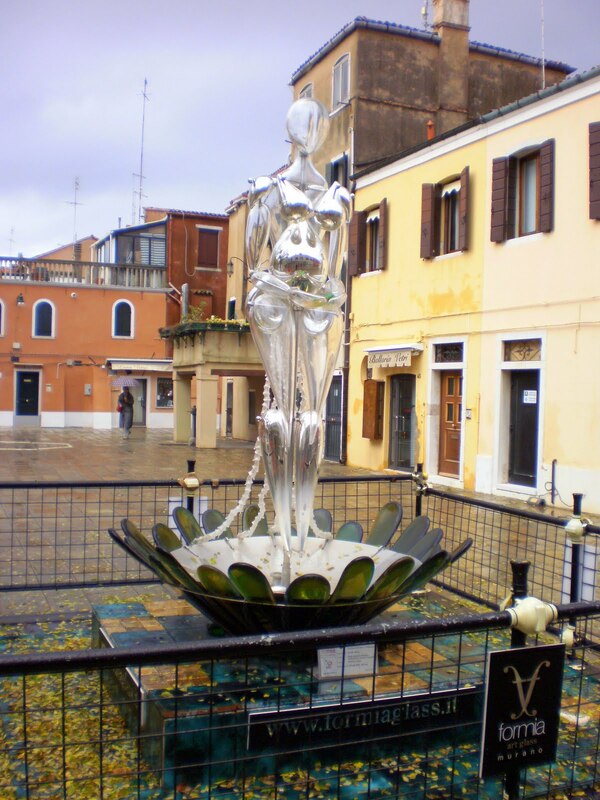 Here is how they do it in Murano, island world famous for it’s… glass. And here is a woman. Made of glass. Beware: glass women are FRAGILE! 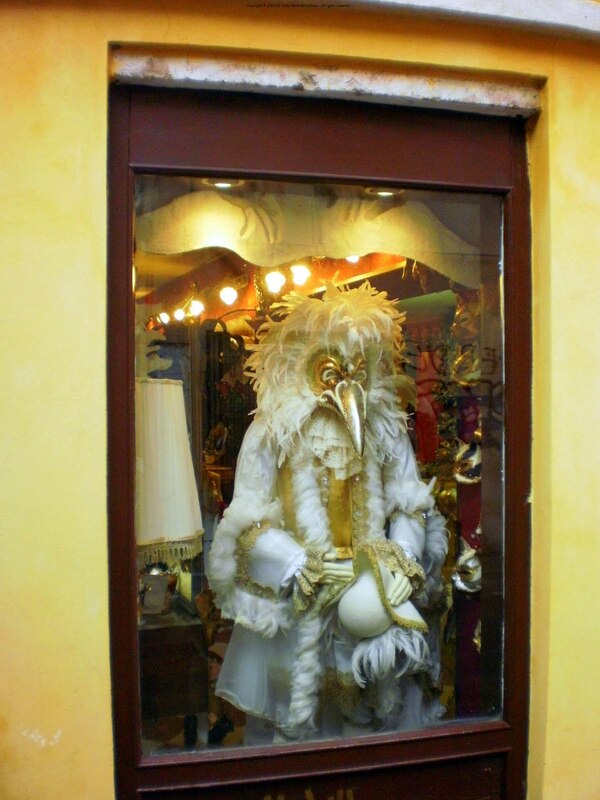 Many Venitians spend a small (or not so small) fortune dressing up for Carnavale, costumes, shoes, and masks. 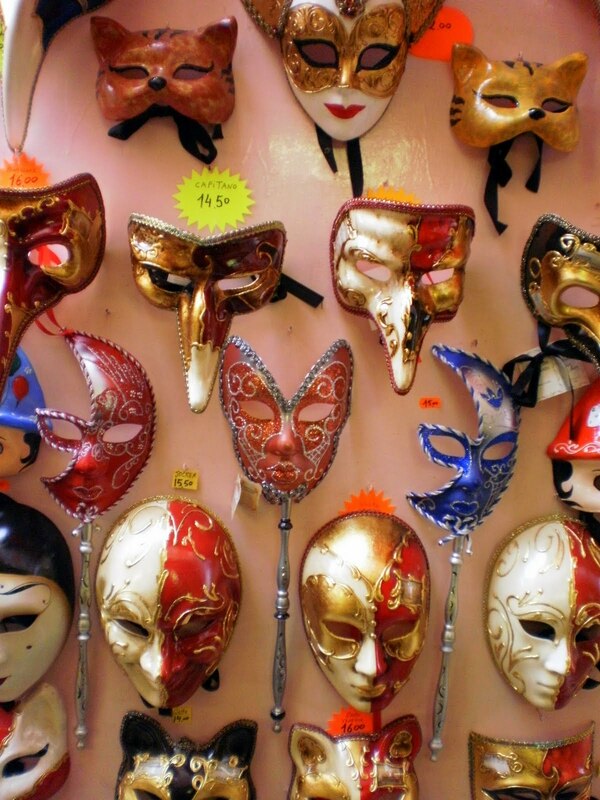 Here are a few traditional masks, mainly meant for tourist in search of a cheap (or not so cheap) souvenir. Which mask would you choose? 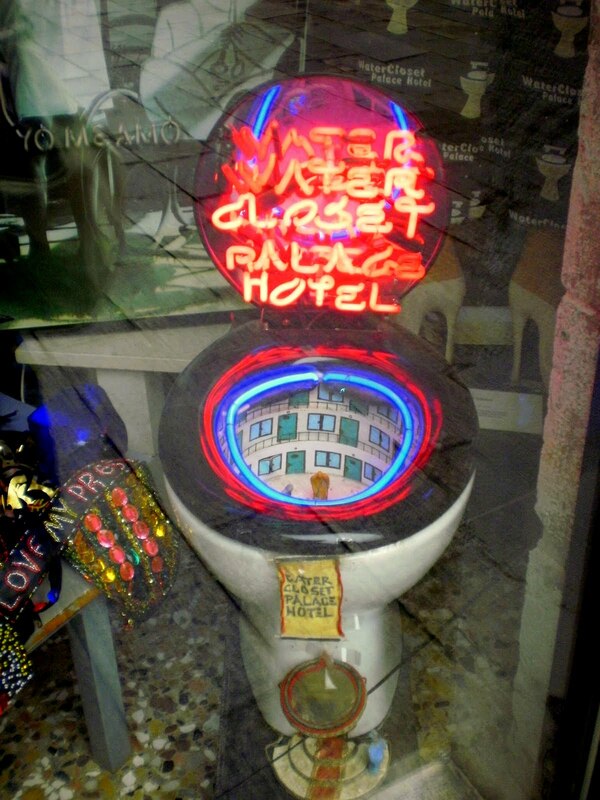 In the same shop where we found those strange bearded women yesterday, there was this, the Water Closet Palace Hotel. Needless to say, this was not OUR hotel!!! I am creating another small blog with some more classic views of beautiful Venice. Here are the first pictures. You can also click on our Venice blog, just above this post. 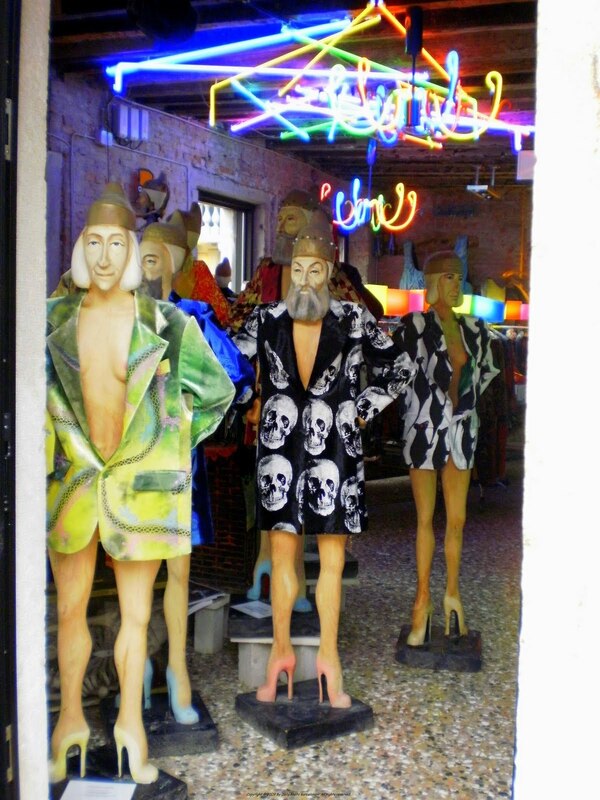 Seen in a shop in Venice. Fashion statement? 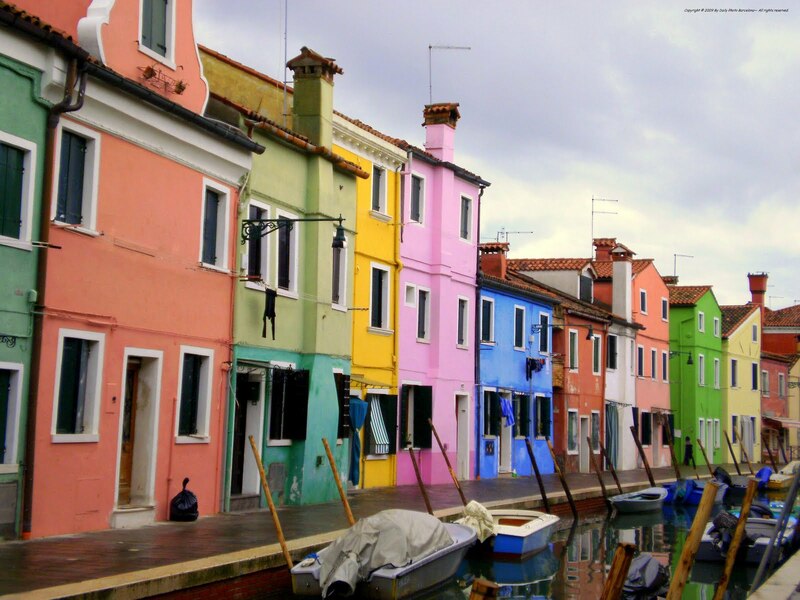 Near Venice, in the laguna, is the very beautiful island called Burano, famous for it’s lace. Now, you know that this blog is rather colorful… Here are some more colors for everybody to enjoy! Well, we’ve been away for a couple of days, to the wonderful Venezia, Venice, for some sightseeing, window shopping, and some serious photo shooting. This being a blog about Barcelona, I wont post too many pictures of Venice, just a few selected ones (out of the hundreds we took). L’uomo ucello, the birdman, greeted us from what probably is his favorite perch. 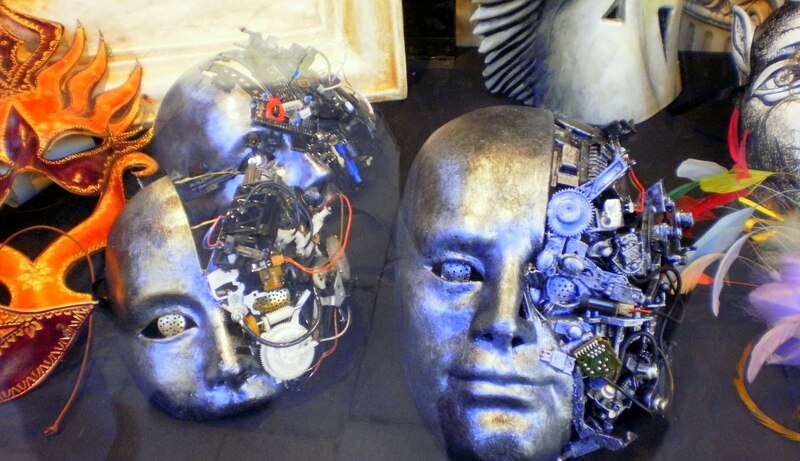 Fantastic mask, a bit scary! And the costume is not bad either, for a big bird. Thanks for all your wishes for this blog’s first 6 months, and for our little trip! It was cold, very wet, windy, but it was wonderful!